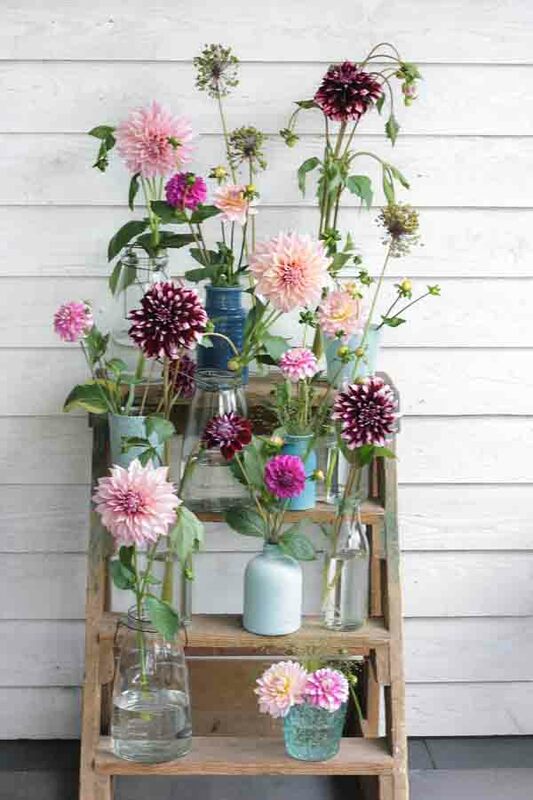 A nice floral creation with all kinds of dahlia flowers in different vases and pots is not difficult and has a big effect! And the advantage is, you do not have to be a florist to make this. Find all the nice little vases and jars that you have in your house. Look at cups or light bowls, almost anything you can use as a vase. If you have a basket, candle holder or tray that is not waterproof, put a small glass in it. Think about a jar or baby food pot, small high-flask bottle of milk or apple juice. A collection of wine bottles also gives a nice effect. At flea markets and at recycling shops you can always find nice retro vases for little money. And take a look at your mother or grandmother's the closet or in the attic, the older stuff, the more fun. 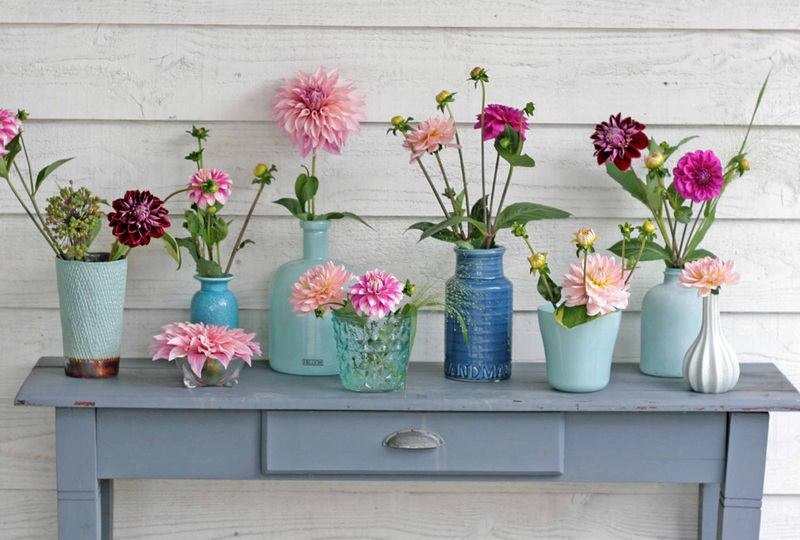 Cut out different dahlia flowers from your own garden. Because you cut out the flowers, all the energy goes to the plant and the plant wille give even more flowers. Double fun so. 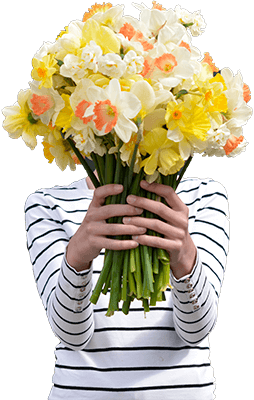 Fill the vases with water and mix 1, 2 or 3 flowers in each vase. The height of the flowers may differ. Perhaps you have a nice green leaf or other beautiful flower in the garden, for example, hydrangea that you can add. In this example, I use a bloomed Allium flower, which still has a lot of decorative value and makes a nice addtition in the whole picture. You find this too busy? Then choose for the same flowers or vases in the same color (as in the picture all in blue tones). This gives a slightly calmer effect immediately.